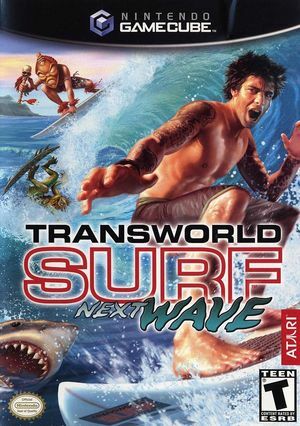 In TransWorld Surf: Next Wave surf the most realistic 3D water anywhere - including over 20 of the world's sweetest breaks - and pull of the same monster moves that made pros like Taj Burrow and Shane Dorian famous. Brave the frigid waters of Antarctica, unlock 13 new hidden characters and surf against your friends in extreme multiplayer modes like Shark Tag! The graph below charts the compatibility with TransWorld Surf: Next Wave since Dolphin's 2.0 release, listing revisions only where a compatibility change occurred. This page was last edited on 24 January 2018, at 00:55.